Buy Layerr Shot Power Play Fragrant Spray online in India. 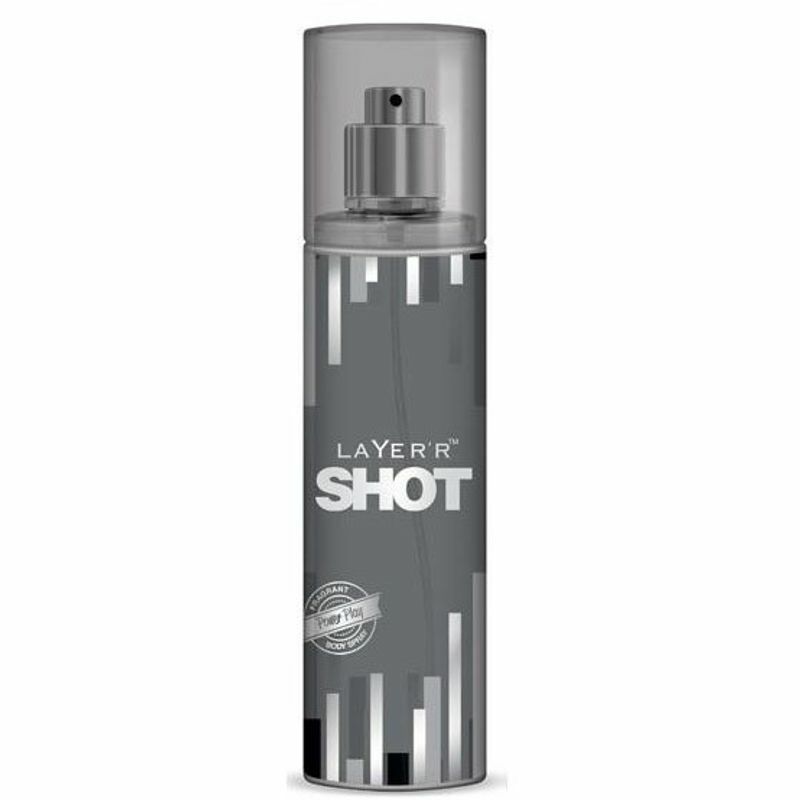 Drive yourself with the rich fragrance of Layer'r Shot Body Spray Power Play. It has been made with a blend of sage, wild moss and fougere essence. Its strong and masculine fragrance charms people around you. It gives 24 hours protection against perspiration odour and gives long lasting fragrance. Additional information: Layer'r is one of India's fastest emerging brands of personal care and styling products. Layer'r Wottagirl is India's first clear body splash.